With music, comes harmony and peace in life. Students with interest in music feel it is therapeutic, inspiring and beneficial to them in more than one way. It empowers their minds, fills them with energy and creativity. 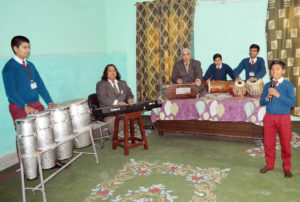 The school aspires to give a platform to all students who wish to pursue a career in music.